a great range for the great outdoors. 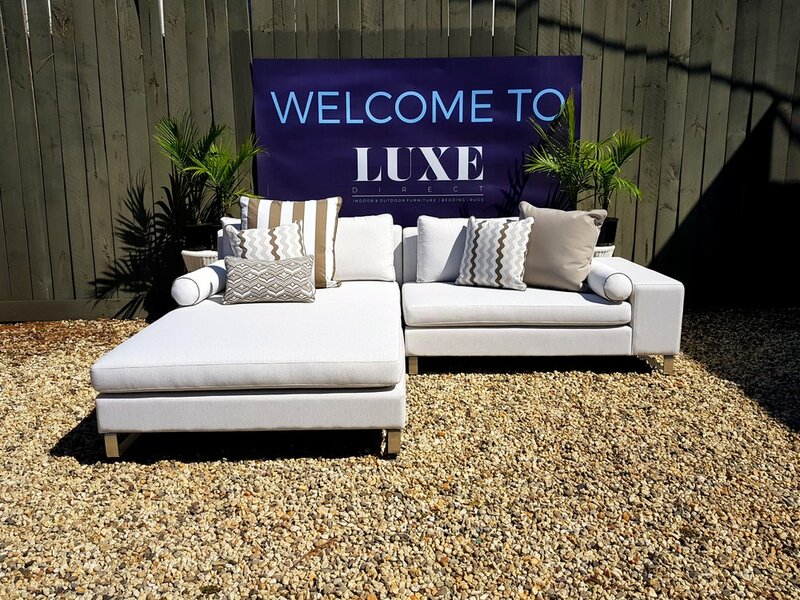 Create that 5-star resort look and feel in your own backyard! 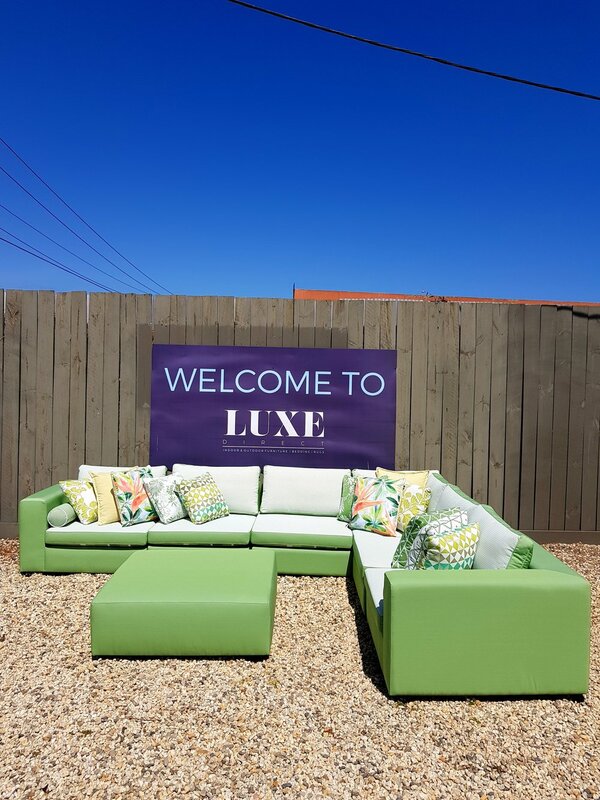 The staple in our popular outdoor furniture range is our custom made outdoor modular lounge. 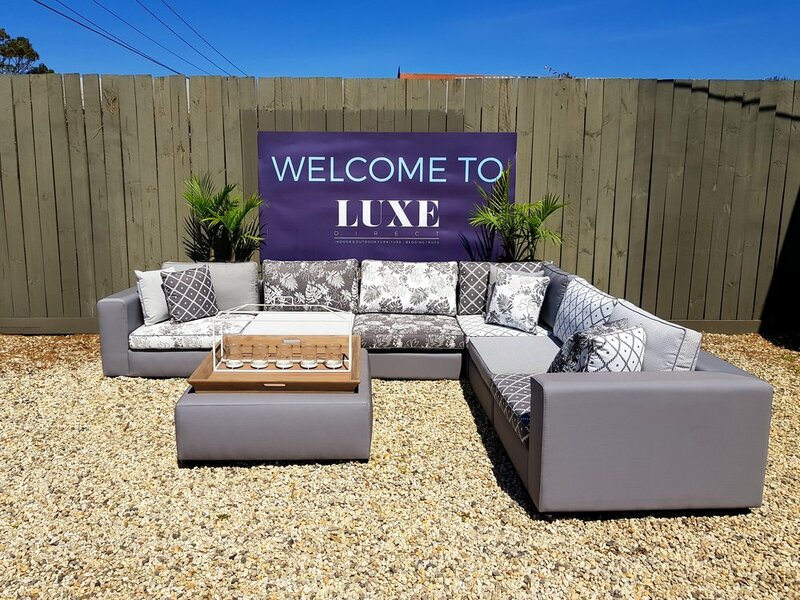 Made from top-quality materials and premium, durable fabrics, it combines the comfort of an indoor couch with the style and functionality of an outdoor modular. 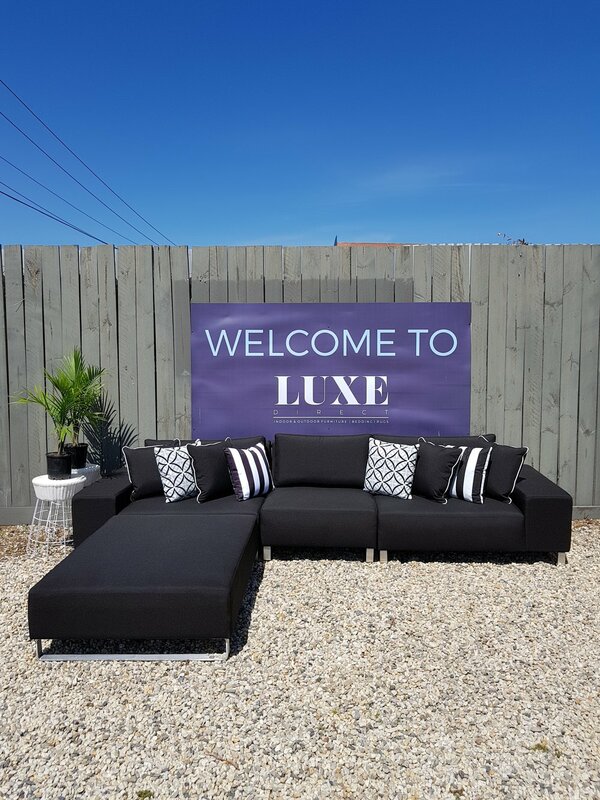 Our outdoor fabric selections are designed to look great outdoors while still being able to be effortlessly maintained. 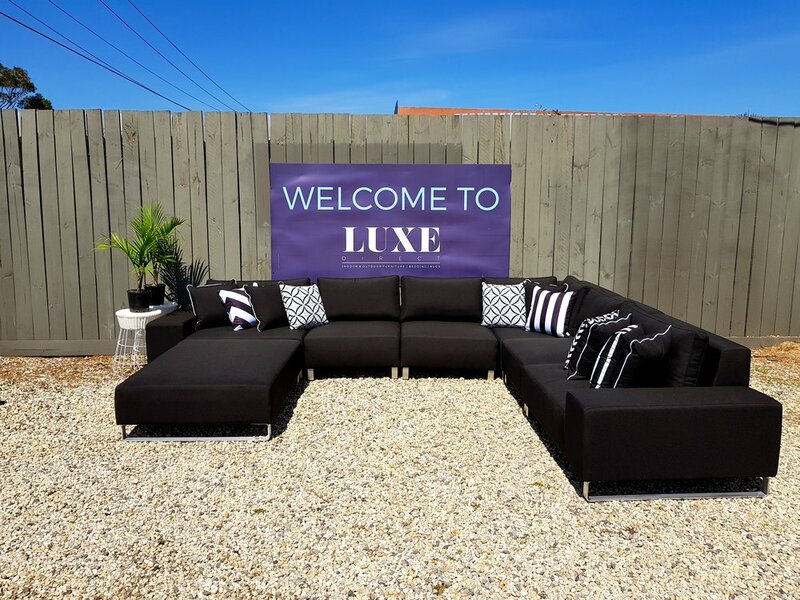 This fabric is a light-fast, durable and easy to clean developed to withstand commercial sunlight exposure requirements, mould and mildew growth, chlorine damage and general wear and tear. It is also water repellent and has microbial hygiene protection making outdoor living carefree. Choose your configuration, size and colour to create your own unique piece. 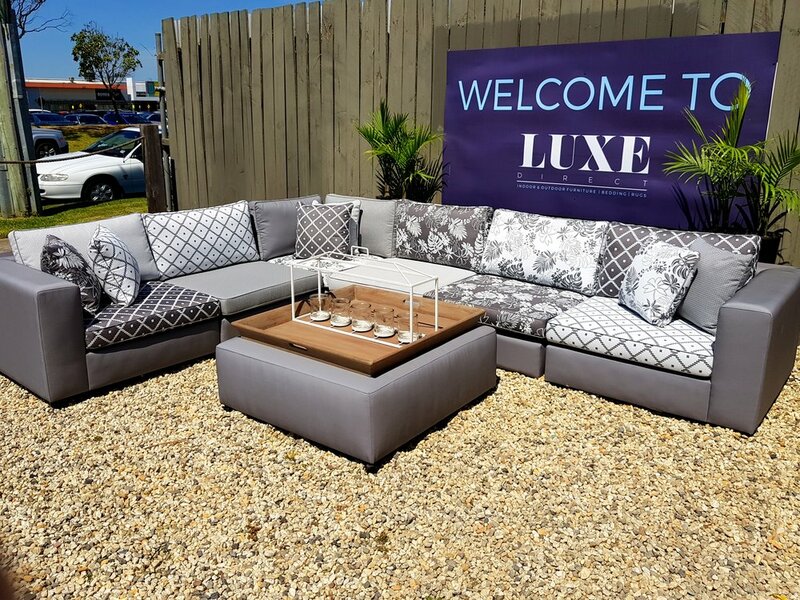 Further transform your outdoor space with a complementing ottoman and scatter cusions. We stock a range of recycled teak outdoor dining solutions and Virofiber wicker outdoor pieces for all weather conditions. 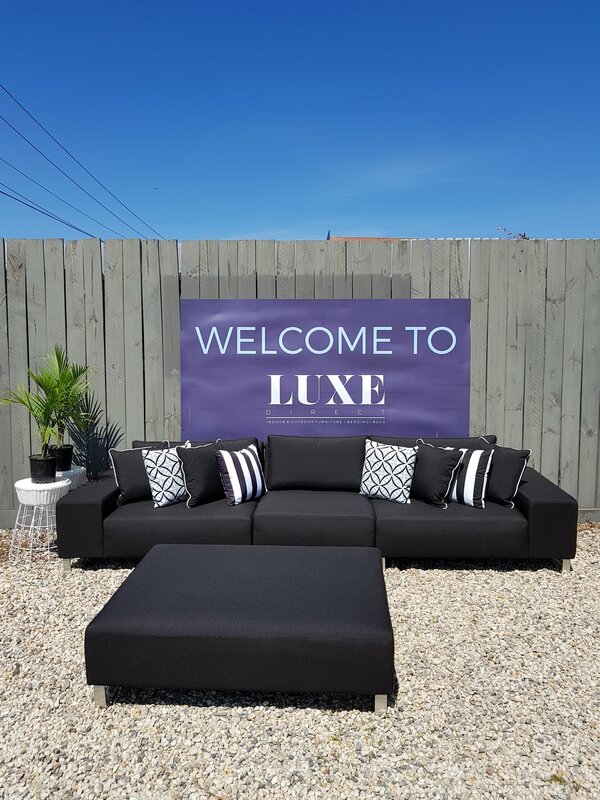 From sun lounges and chairs, to casual and formal dining settings. Allow every experience outdoors transport you to a state of utter zen.